Fighting Ignorance since 1975 (It’s taking longer than I thought) and Smile, because everyone is entitled to my opinion! There are several clinical problems associated with the need to understand fluid management related to patient care. 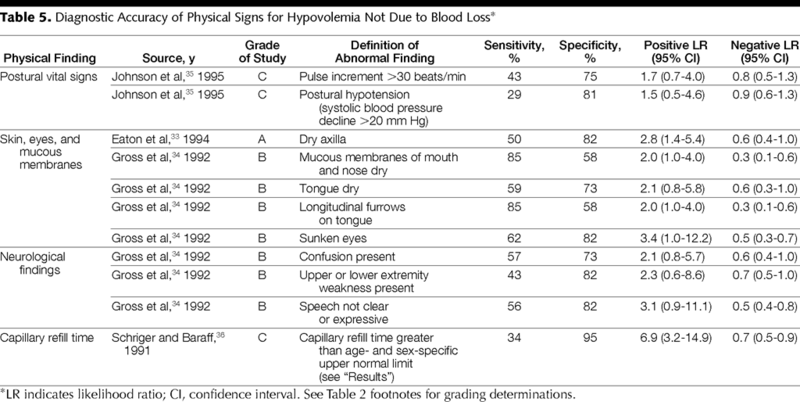 How to identify patients who need fluid therapy or are becoming hemodynamically unstable before they progress too far? 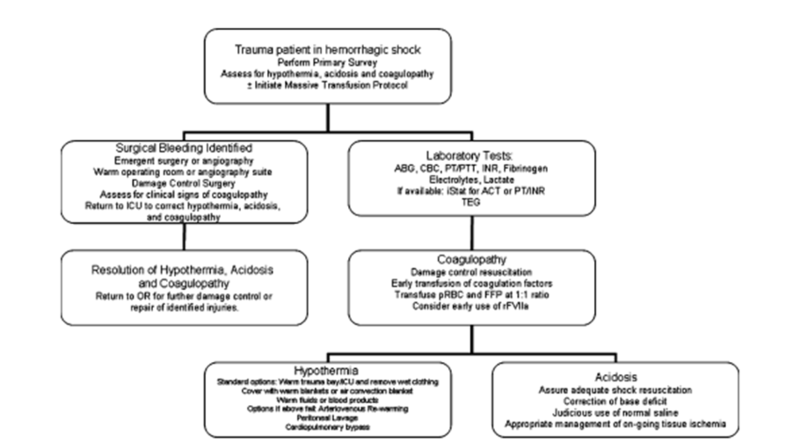 How to determine the most appropriate therapy to reverse the primary cause for impending circulatory shock/problem(s)? How to implement the most appropriate therapy for your individual patients? How to assess your patients fluid response? Is blood flow adequate to meet metabolic demands? Will increasing intravascular volume increase cardiac output? Will decreasing the driving pressure for venous return decrease cardiac output? Is cardiac output responsive to intravascular fluid loading? What end points/results from your therapy demonstrate success or a need for further action? Starts in the prehospital period. Shock & Hypoperfusion is the cause. Dilution,Hypothermia,Loss of coagulation factors not significant at this stage. Thrombomodulin-ProteinC pathway is activated in hypoperfusion. Hypercoagulable state and risk of thrombosis due to Protein C depletion. LITFL – Shock… Do We Know It When We See It? Coagulation assays are run at 37 °C! 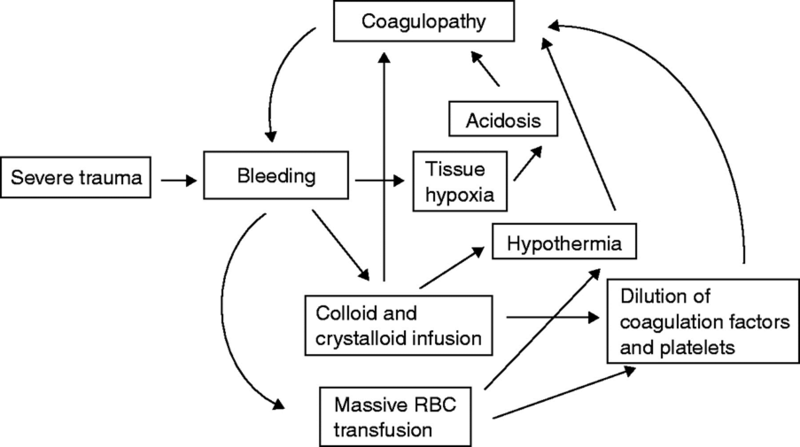 Hypothermia in massive transfusion: have we been paying enough attention to it? 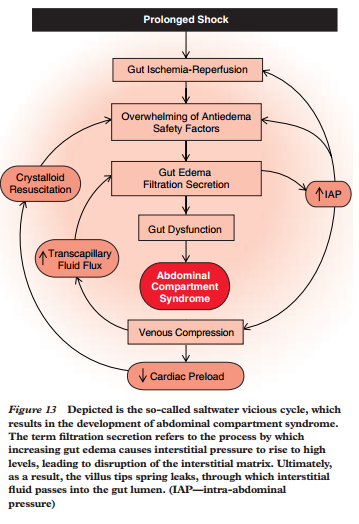 Abdominal compartment syndrome has emerged as a virtual epidemic in busy trauma centers that practice damage-control surgery and goal-oriented ICU resuscitation. This syndrome is an early event, and its clinical trajectory can be accurately predicted within 3 to 6 hours after ED admission. At admission to the ICU, high-risk patients have significant intra-abdominal hypertension and are in persistent shock. Contrary to conventional wisdom, they do not respond well to pre-load directed resuscitation. In fact, continued aggressive resuscitation precipitates the full-blown syndrome [figure 13]. In 1861, Thomas Graham’s investigations on diffusion led him to classify substances as crystalloids or colloids based on their ability to diffuse through a parchment membrane. Crystalloids passed readily through the membrane, whereas colloids (from the Greek word for glue) did not. 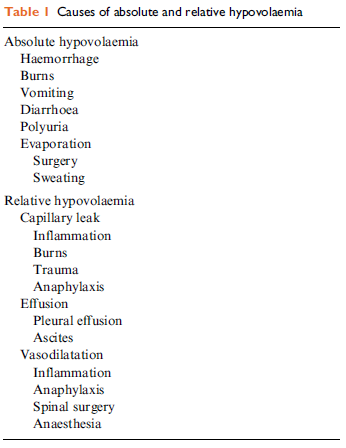 Intravenous fluids are similarly classified based on their ability to pass from intravascular to extravascular (interstitial) fluid compartments. There are two main types of volume expander; crystalloids and colloids. Crystalloids are aqueous solutions of mineral salts or other water-soluble molecules. Colloids contain larger insoluble molecules, such as gelatin. Blood is a colloid. Colloids preserve a high colloid osmotic pressure in the blood, while, on the other hand, this parameter is decreased by crystalloids due to hemodilution. However, there is still controversy with regard to the actual difference in efficacy between colloids and crystalloids. Crystalloids generally are much cheaper than colloids. 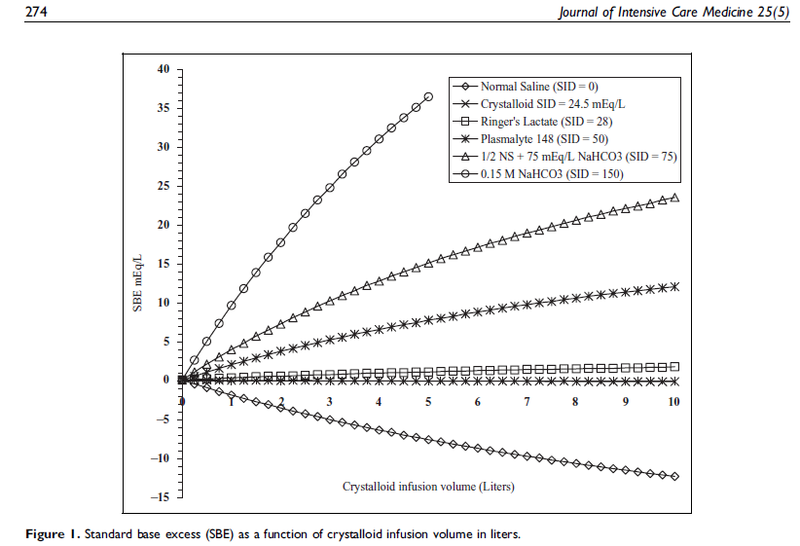 The most commonly used crystalloid fluid is normal saline, a solution of sodium chloride at 0.9% concentration, which is close to the concentration in the blood (isotonic). Lactated Ringer’s (also known as Ringer’s lactate) and the closely related Ringer’s acetate, are mildly hypotonic solutions often used for large-volume fluid replacement. 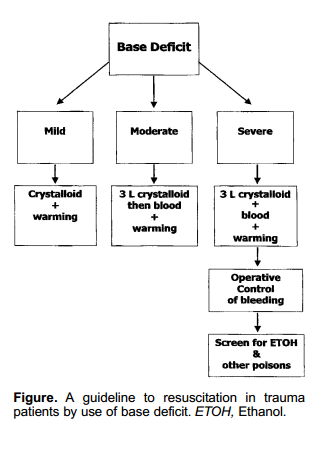 Crystalloid solutions – clear fluids made up of water and electrolyte solutions; Will cross a semi-permeable membrane e.g Normal, hypo and hypertonic saline solutions; Dextrose solutions; Ringer’s lactate and Hartmann’s solution. Because of their gelatinous properties they cause platelet dysfunction and interfere with fibrinolysis and coagulation factors (factor VIII) – thus they can cause significant coagulopathy in large volumes. 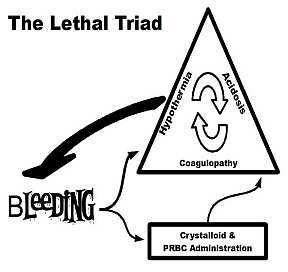 Fluid Therapy in Hemorrhagic Shock: The ability of sodium to replace interstitial fluid deficits, not blood volume deficits, is the reason that crystalloid fluids containing sodium chloride (saline fluids) gained early popularity as resuscitation fluids for acute blood loss. (admixture) reflects the admixture of the crystalloid SID and plasma SID. The major strong cations and anions will also be diluted by the increment in plasma volume by the infusate. 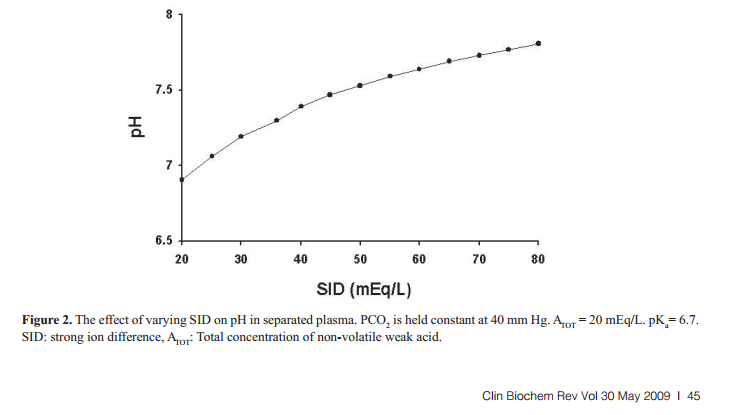 The plasma SIDad from standard state conditions is calculated as follows: SIDss (standard state) plasma volume + SIDci (crystalloid infusate) infusate volume divided by plasma volume + infusate volume. The plasma SIDad calculation after a 1 L infusion of normal saline from standard state can be found in the appendix. using the equation below (18), where BD is base deficit in mmol/L, Hb is the hemoglobin concentration in blood, and HC03 is the serum bicarbonate concentration. 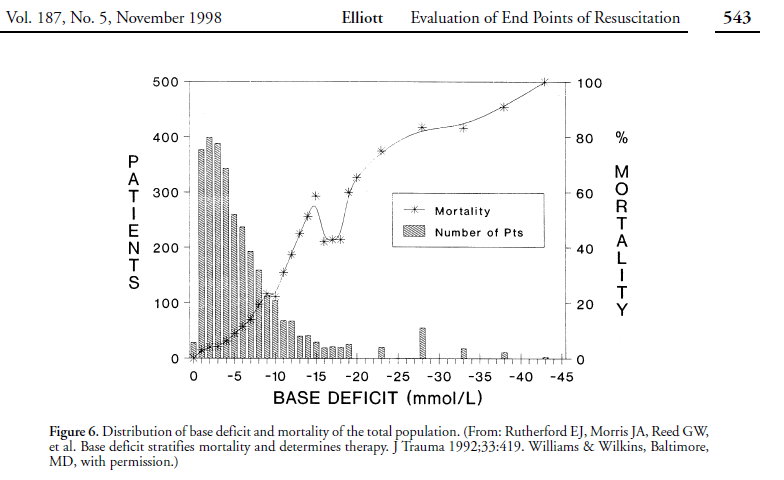 Clinical studies in trauma patients have shown a direct correlation between the magnitude of increase in base deficit at presentation and the extent of blood loss (19). Correction of the base deficit within hours after volume replacement is associated with a favorable outcome (19), while persistent elevations in base deficit are often a prelude to multiorgan failure. When using the base deficit to guide fluid resuscitation in trauma patients, the base deficit should be monitored serially along with the patient’s clinical response. Orthostatic hypotension can occur with significant hypovolemia; but it is also common euvolemic elderly subjects. Decreased intensity of both the Korotkoff sounds (when the blood pressure is being measured with a sphygmomanometer) and the radial pulse (“thready”) due to peripheral vasoconstriction. The normal venous pressure is 1 to 8 cmH2O, thus, a low value alone may be normal and does not establish the diagnosis of hypovolemia. The rational clinical examination. Is this patient hypovolemic? The concept behind permissive hypotension involves keeping the blood pressure low enough to avoid exsanguination while maintaining perfusion of end organs. Although hypotensive resuscitation is evolving into an integral part of the new strategy of DCR, the practice itself is not a new concept. Walter Cannon and John Fraser remarked on it as early as 1918 when serving with the Harvard Medical Unit in France during World War I. They made the following observations on patients undergoing fluid resuscitation: “Injection of a fluid that will increase blood pressure has dangers in itself. 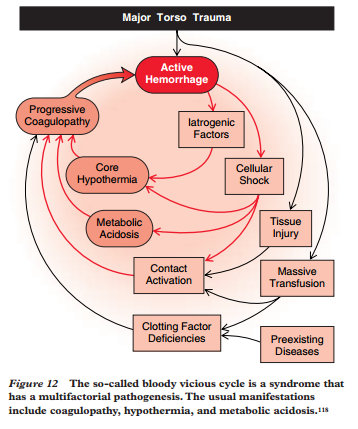 Hemorrhage in a case of shock may not have occurred to a marked degree because blood pressure has been too low and the flow to scant to overcome the obstacle offered by the clot. If the pressure is raised before the surgeon is ready to check any bleeding that may take place, blood that is sorely needed may be lost.”13 Dr. Cannon’s endpoint of resuscitation before definitive hemorrhage control was a systolic pressure of 70 mm Hg to 80 mm Hg, using a crystalloid/colloid mixture as his fluid of choice. Although these anecdotal reports from earlier generations of surgeons are interesting, more scientific attempts to examine outcomes for permissive hypotension after serious injury have been mixed. 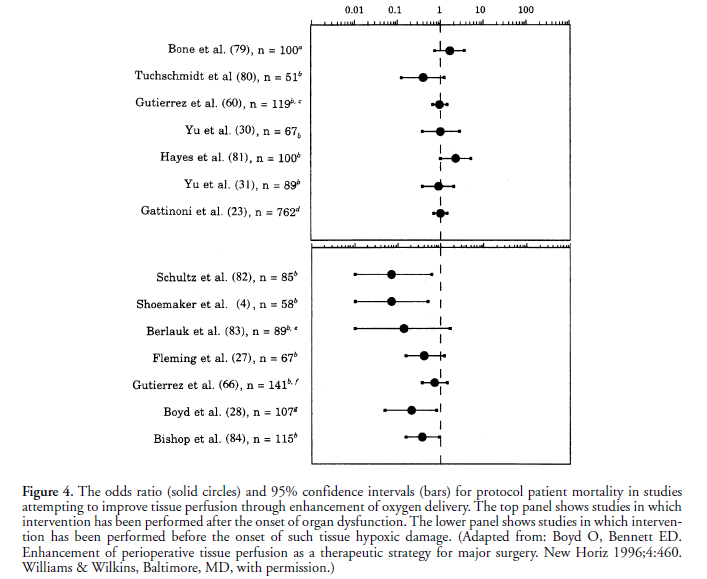 The most well-known study that displayed a benefit for delayed aggressive fluid resuscitation until after operative intervention with surgical hemostasis was published in 1994 by Bickell et al. This randomized controlled trial of patients with penetrating truncal injuries compared mortality rates of patients who received immediate versus delayed administration of intravenous (IV) fluids and discovered improved survival, fewer complications, and shorter hospital stays in the delayed group. They demonstrated that, regardless of the victim’s blood pressure, survival was better in their urban “scoop and run” rapid transport system when no attempt at prehospital resuscitation was made.15 The same group published a follow-up abstract in 1995, which was a subgroup analysis of the previous study dividing patients into groups by their injury type. 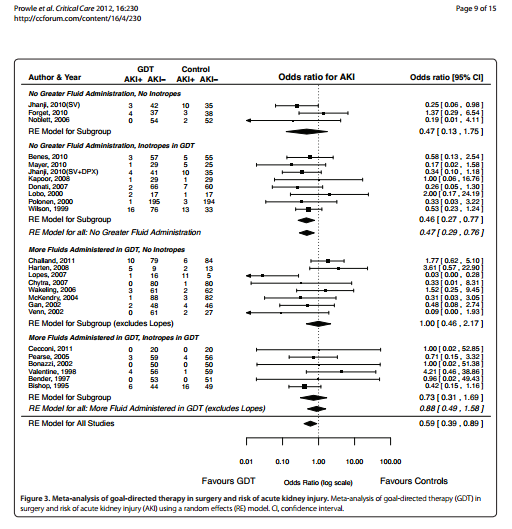 This study demonstrated a lack of affect on survival, in most groups, for patients treated with delayed fluid resuscitation with a survival advantage only for patients with penetrating injuries to the heart (p 0.046).16 This called into question whether study by Bickell et al. was generalizable to trauma population at large. Four years later, Burris et al.17 also suggested that patients could benefit in the short-term by resuscitating to a lower blood pressure. Other studies attempting to replicate these results were unable to find a difference in survival.18,19 Also of note is whether these results in a penetrating trauma population can be extrapolated to the trauma population at large remains to be seen. Unfortunately, no evidence-based recommendations exist from any of the field’s leading trauma organizations. 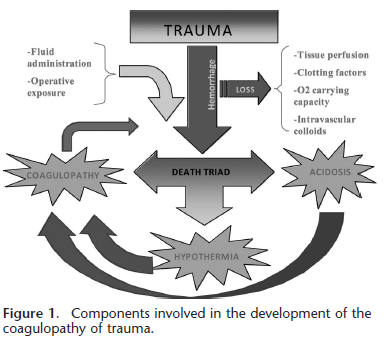 In their absence, the findings from historical military medical sources, modern urban transport studies, and recent laboratory animal models suggest that trauma patients without definitive hemorrhage control should have a limited increase in blood pressure until definitive surgical control of bleeding can be achieved. The potential for rebleeding against the detrimental effects of systemic ischemia and reperfusion require further study. Until more detailed studies are conducted, hard guidelines cannot be put forth. For aortic rupture, permissive hypotension should be a standard of care with the aim of keeping the systolic blood pressure 50–100 mmHg as long as consciousness is maintained [1, 36, 57]. Excessive fluid administration, in an attempt to normalise blood pressure, dilutes coagulation factors, disrupts thrombus and can cause expansion and rupture of a contained retroperitoneal haematoma . Why does TBI require a higher systolic BP than required for permissive hypotension? 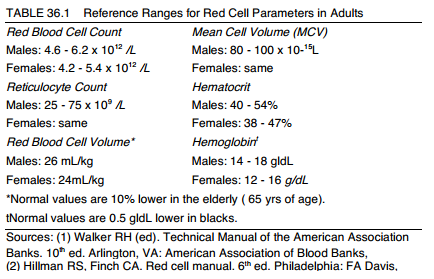 The American College of Surgeons identifies four categories of acute blood loss based on the percent loss of blood volume. 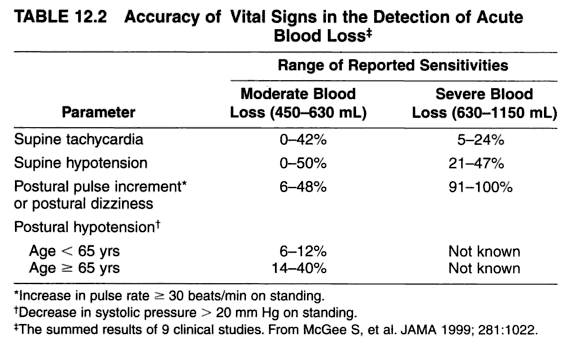 Class I: Loss of 15% or less of the total blood volume. This degree of blood loss is usually fully compensated by transcapillary refill. Because blood volume is maintained, clinical findings are minimal or absent. Class II: Loss of 15-30% of the blood volume. The clinical findings at this stage may include orthostatic changes in heart rate and blood pressure. However, these clinical findings are inconsistent. Sympathetic vasoconstriction maintains blood pressure and perfusion of vital organs, but urine output can fall to 20-30 ml/hr, and splanchnic flow may also be compromised. Splanchnic hypoperfusion is a particular concern because it can lead to breakdown of the intestinal barrier and translocation of microbes and inflammatory cytokines, setting the stage for systemic inflammation and multiple organ failure. 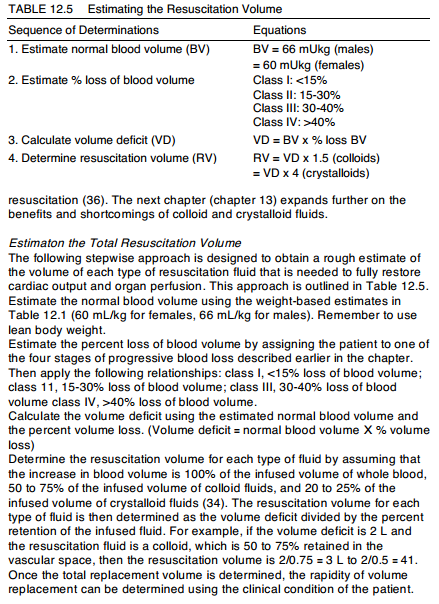 Class III: Loss of 30-40% of the total blood volume. This marks the onset of decompensated hypovolemic shock, where the vasoconstrictor response to hemorrhage is no longer able to sustain blood pressure and organ perfusion. The clinical consequences include hypotension and reduced urine output (usually 5-15 ml/hr). Systemic vasoconstriction may be attenuated or lost at this stage, resulting in exaggerated hypotension. 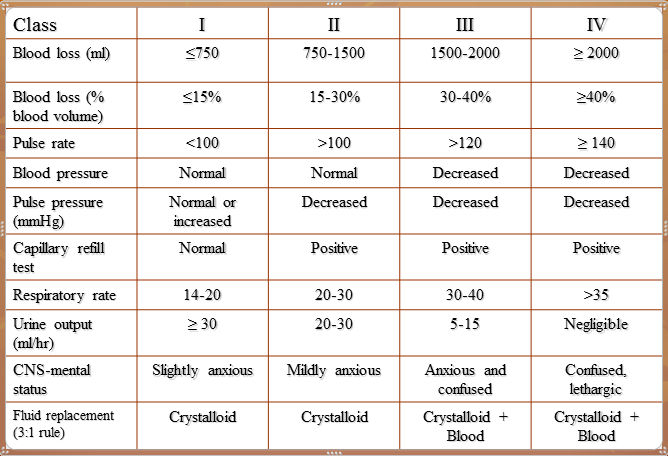 Class IV: Loss of more than 40% of blood volume. Hypotension and oliguria are profound at this stage (urine output may be <5 ml/hr, and these changes may be irreversible. Predicts the need for massive transfusion based on clinical and laboratory data. — Occluding the circuit at end-expiration prevents the cyclic effect of inspiration to reduce left cardiac preload and acts like a fluid challenge. — A 15 second expiratory occlusion is performed and an increase in pulse pressure or cardiac index predicts fluid responsiveness with a high degree of accuracy. — The patient must be able to tolerate the 15 second interruption to ventilation without initiating a spontaneous breath. 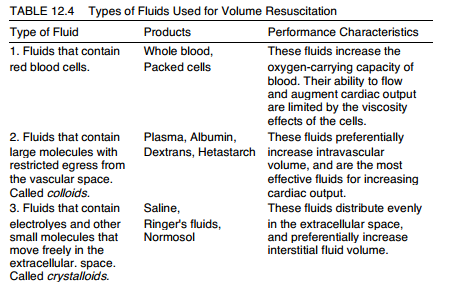 We should probably use different cutoff values for fluid responsiveness depending on the clinical context. 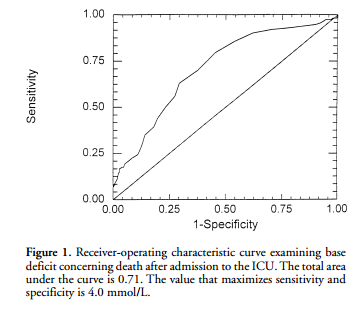 Patient’s with severe respiratory failure need higher specificity and lower sensitivity tests of fluid responsiveness, whereas the opposite may be appropriate in patients with pre-renal failure. 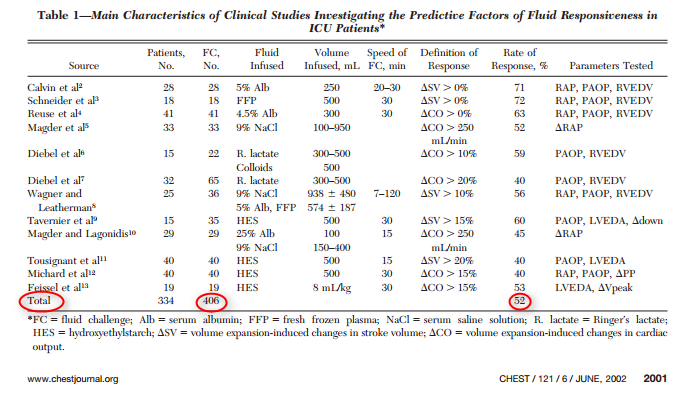 For the same baseline pre-load (A, assessed by CVP) and same increase in pre-load (amount of fluid given: A -> B), the hemodynamic response assessed by the variation in stroke volume is not significant in patients on the flat portion of the Frank Starling curve (poor LV systolic function) : a = b. In these patients, pre-load increase won’t have beneficial effects and may worsen the patient’s condition. In patients who are on the steep portion of the curve, the same increase of pre-load (A -> B) will lead to significant increase in stroke volume: b’ > a’. Ideally, the volume status is a “functional assessment”: to induce a change in cardiac preload and observe the effects on cardiac output and arterial pressure. What is a fluid challenge? fluid is an essential part of the management of many sick patients. An inadequate cardiac output (CO) and systemic arterial pressure reduces the delivery of oxygen to a level below the necessary requirements, leading to a cascade of cellular changes that ultimately can result in organ dysfunction and failure. When the decision of increasing the CO is made, optimization of preload is usually the first step taken. It goes without saying, therefore, that the primary target of a fluid challenge is an increase in SV or CO. An increase of at least 10–15% is considered a positive response . inversely proportional to systemic vascular resistance, and therefore describing left ventricular afterload. Fluid challenges may be performed with crystalloid (isotonic or hypertonic) or colloids. 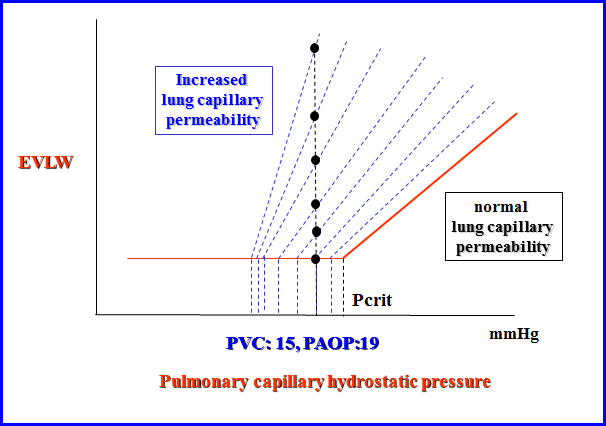 The ability of colloids to maintain or increase CO should reduce fluid extravasation into the lung, but increased capillary permeability may negate this advantage…Colloid will stay in the intravascular compartment for longer, and hyperoncotic fluid will draw fluid out of the interstitial space, increasing plasma volume beyond the administered volume. Whether this has clinical relevance for the fluid challenge is unclear. fails to increase above the chosen threshold. This process is called SV maximization. A fluid challenge identifies and simultaneously corrects volume depletion in order to optimize tissue perfusion. 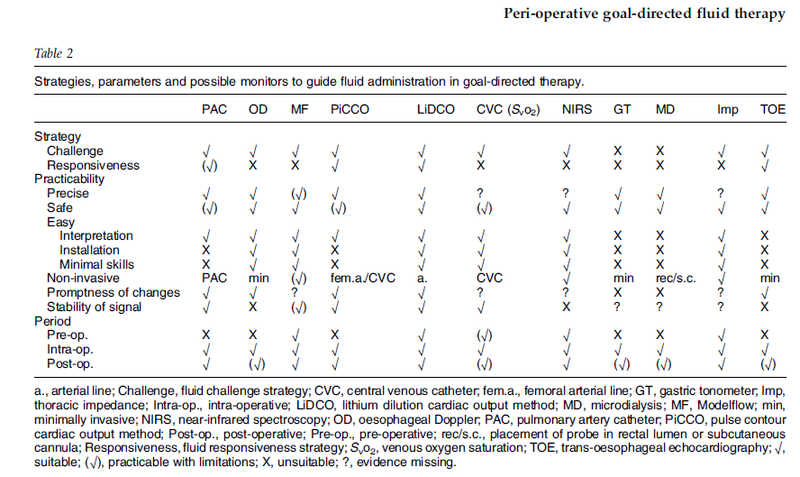 Administration of fluid using a fluid challenge protocol avoids unnecessary fluid administration and may improve outcome in critically ill and elective surgical patients. Dynamic noninvasive predictors of volume responsiveness such as SV, PLR and DScVO2 should be used in preference to the CVP and PAOP for guiding fluid therapy. Continuous CO monitors are the best option to monitor the response to a fluid challenge. The physiological properties of the fluid and the clinical picture should be considered when choosing which fluid to use. 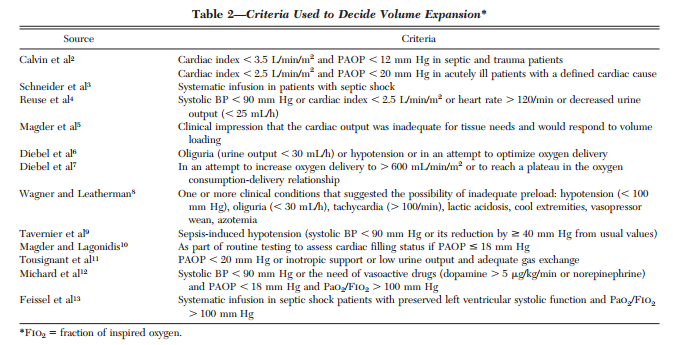 factors of fluid responsiveness in order to select patients who might benefit from volume expansion and to avoid ineffective or even deleterious volume expansion (worsening in gas exchange, hemodilution) in nonresponder patients, in whom inotropic and/or vasopressor support should preferentially be used. very poor relationship between CVP and blood volume and CVP/DeltaCVP is a poor predictor of the hemodynamic response to a fluid challenge. 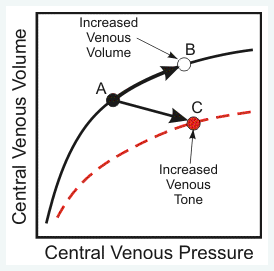 Central venous pressure (CVP) has been used over the last 50 years to assess volume status and fluid responsiveness in critically ill patients. Despite widespread practice habit, CVP has not been shown to reliably predict fluid responsiveness in the critically ill. In a recent updated meta-analysis, Marik et al reviewed 43 studies, totaling over 1800 patients. 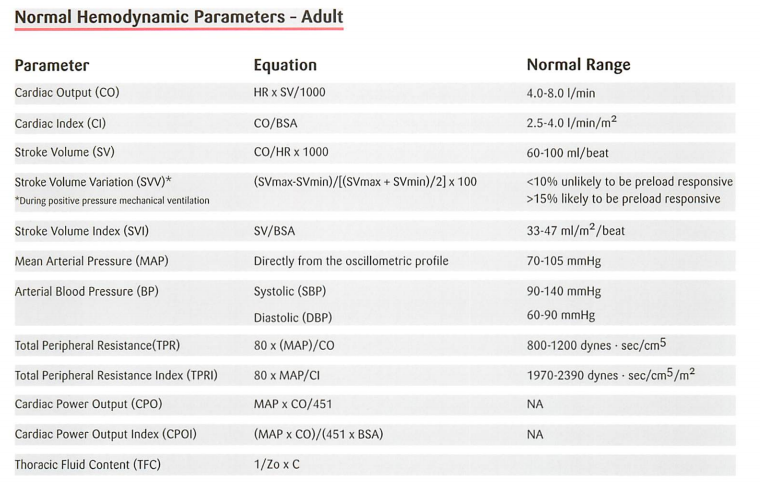 For studies performed in ICU patients, the correlation coefficient for CVP and change in cardiac index was just 0.28. Bottom line: Current literature does not support the use of CVP as a reliable marker of fluid responsiveness. 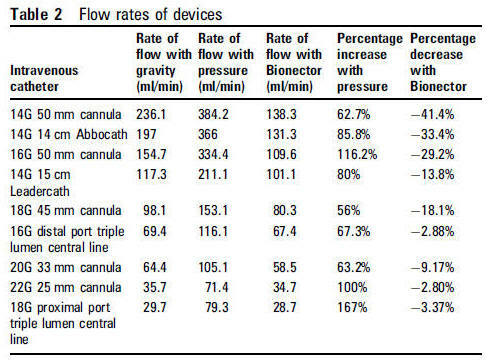 Marik PE, Cavallazzi R. Does the central venous pressure predict fluid responsiveness? An updated meta-analysis and a plea for some common sense. 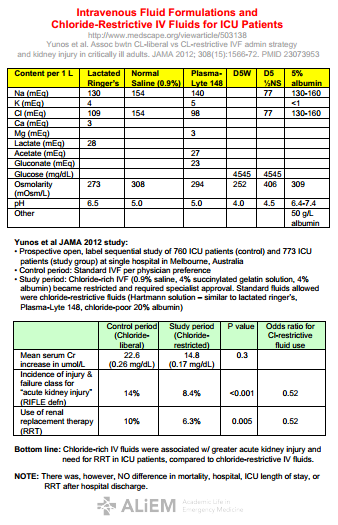 Crit Care Med 2013:41:1774-1781. More recently, new technology (PiCCO [pulse contour cardiac output] System; PULSION Medical Systems AG, Munich, Germany) that provides an alternative to the PAC has been developed and applied . This new technology uses transpulmonary thermodilution and pulse contour analysis to calculate cardiac output, stroke volume variation, intra-thoracic blood volume, and extra-vascular lung water (EVLW). 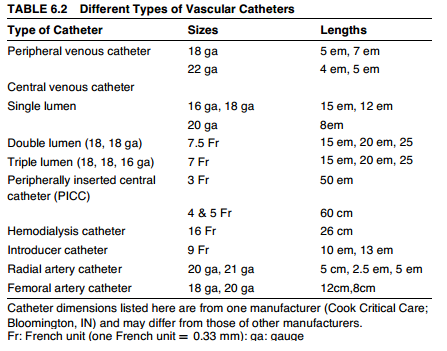 In patients who already have a central line, PiCCO requires only the insertion of a 4-French femoral catheter. Several small studies have been conducted to compare the PAC to PiCCO in terms of physiological relevance (for example, ability to predict fluid responsiveness). They have suggested that PiCCO obtained data such as stroke volume variation or intra-thoracic blood volume index (ITBI) may better predict fluid responsiveness [5-10]. This may or may not affect clinical outcome. The passive leg raising (PLR) test has been proposed as another preload challenge taking its advantage to be independent of heart–lung interactions and thus to be used in all patients, even those who are not intubated. Lifting the legs from the horizontal position induces a gravitational transfer of blood from the lower limbs towards the intrathoracic compartment. This signiﬁcantly increases the right and left cardiac preload, supporting the fact that the volume of blood transferred to the heart during PLR is sufﬁcient for challenging the Frank–Starling curve. The excellent ability of PLR to serve as a test of preload responsiveness was demonstrated in patients with acute circulatory failure . A 10–12% increase in cardiac output or stroke volume during PLR enables us to predict fluid responsiveness, even in patients with cardiac arrhythmias and/or spontaneous ventilator triggering . It is important to note that: (1) changes in arterial pressure cannot be used to assess the hemodynamic response to PLR as it can result in false-negative cases  and (2) the cardiac output response to PLR must be assessed with a real-time monitoring device as the effects of PLR are transient and reach their maximum after only 30–90 s . Indeed, probably because of the development of some compensatory mechanisms, the increase in cardiac output during PLR is not sustained when the leg elevation is prolonged. This is particularly marked in septic patients in whom an important capillary leak may account for an attenuation of the PLR effects after 1 min. Thus, real-time cardiac output monitoring technologies and devices such as PiCCO, FloTrac/Vigileo, oesophageal Doppler, USCOM and echocardiography are perfectly suitable for this purpose as demonstrated by clinical studies . More recently, the real-time changes in end-tidal carbon dioxide, which reflect the changes in cardiac output, were shown to assess the response to PLR and thus to predict fluid responsiveness in mechanically ventilated patients [49,50]. Beyond its reliability and easiness, the PLR test has some limitations . First, it cannot be used in instances in which mobilizing the patient is not possible or allowed, like in the operating theatre or in the case of head injury . Second, the value of the PLR has been questioned in cases of increased intra-abdominal pressure , although this has to be confirmed. This test is another method that takes advantage of heart-lung interactions to predict fluid responsiveness in ventilated patients. 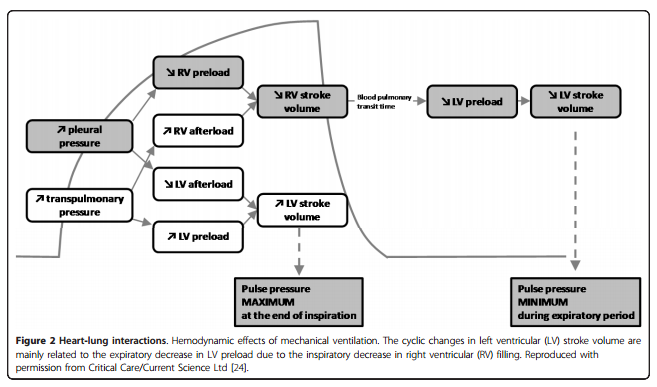 During mechanical ventilation, each insufflation increases the intrathoracic pressure and impedes venous return. 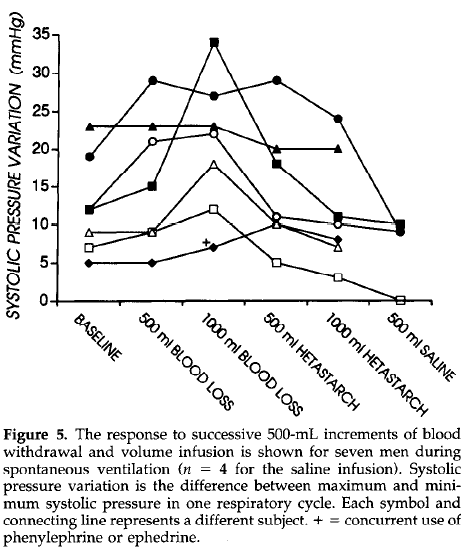 Thus, interrupting the respiratory cycle at end-expiration inhibits the cyclic impediment in venous return. 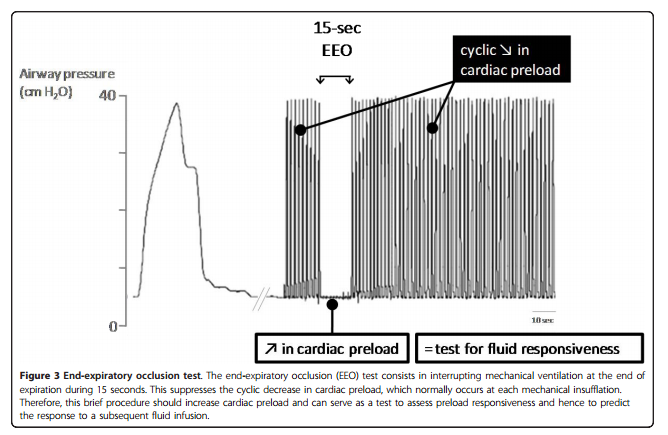 The resulting increase in cardiac preload may thus help to test preload responsiveness (Figure 1). Indeed, it was demonstrated that if a 15-second end-expiratory occlusion test increased the arterial pulse pressure or the pulse contour-derived cardiac output by more than 5%, the response of cardiac output to a 500 ml saline infusion could be predicted with good sensitivity and specificity . Noticeably, all patients of the latter study were arrhythmic or had mild spontaneous breathing activity. These initial results were recently confirmed . Beyond its simplicity, the main advantage of the end-expiratory occlusion test is that it exerts its hemodynamic effects over several cardiac cycles and thus remains valuable in case of cardiac arrhythmias . Also, the end-expiratory occlusion test can be used in patients with spontaneous breathing activity, unless marked triggering activity interrupts the test. Another limitation is that the effects of the end-expiratory occlusion test, which must be observed over 15 s, are much easier to observe on a continuous display of cardiac output than on the arterial pulse pressure because the value of the latter is not continuously calculated and displayed by bedside monitors. Echocardiography is a well-established method to assess cardiac anatomy and biventricular function. When Doppler technique is added, stroke volume (SV) may be estimated across the aortic valve. (3) When transthoracic echocardiography (TTE) is performed, the method is non-invasive and may be applicable to most intensive care patients. (4) The clinical interest in utilizing TTE by non-cardiologist in intensive care medicine has resulted in echocardiography protocols such as the Focus Assessed Transthoracic Echocardiography and Critical Care Echocardiography. (5,6) Thus, major intensive care societies now recommend that echocardiography should be part of the curriculum of intensive care physicians. (7) As TTE is becoming an integrated tool for circulatory assessment in the intensive care unit, it is imperative to know TTE’s validity as a test for fluid responsiveness. Therefore, the aim of this systematic review was to assess the predictive value of TTE for fluid responsiveness. SonoCase: 78 yr old, hypotensive, altered…Welcome to “RUSH” week! The main application of LUS for the cardiologist is the assessment of B-lines. 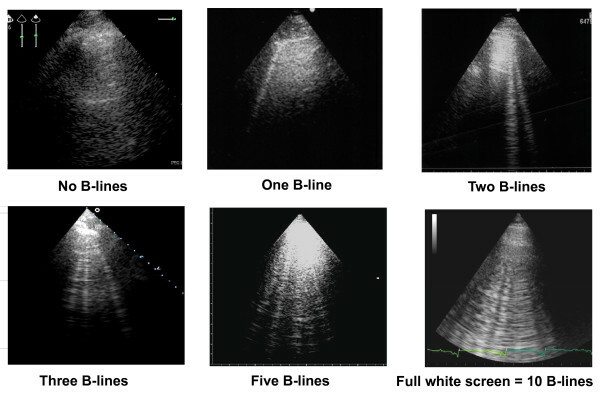 B-lines are reverberation artifacts, originating from water-thickened pulmonary interlobular septa. Multiple B-lines are present in pulmonary congestion, and may help in the detection, semiquantification and monitoring of extravascular lung water, in the differential diagnosis of dyspnea, and in the prognostic stratification of chronic heart failure and acute coronary syndromes. 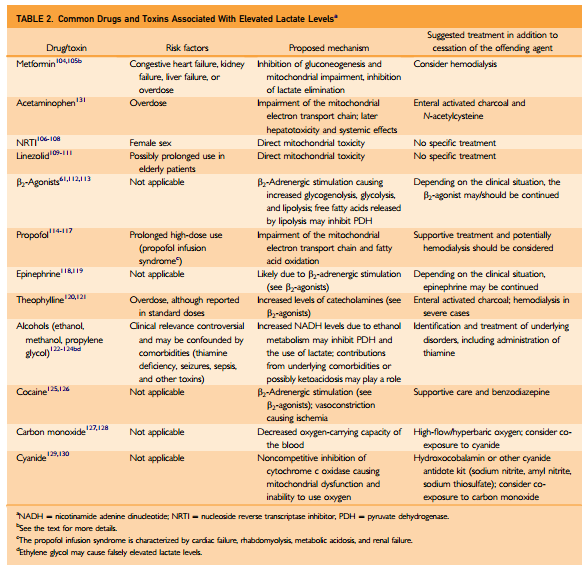 LUS limitations are essentially patient dependent. Obese patients are frequently difficult to examine because of the thickness of their ribcage and soft tissues. 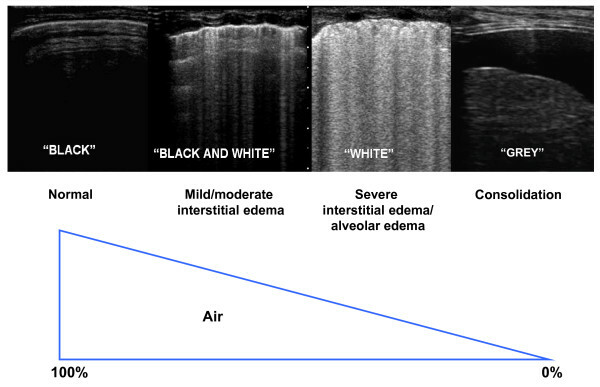 The presence of subcutaneous emphysema or large thoracic dressings alters or precludes the propagation of ultrasound beams to the lung periphery. The main limitation of B-lines is the lack of specificity. 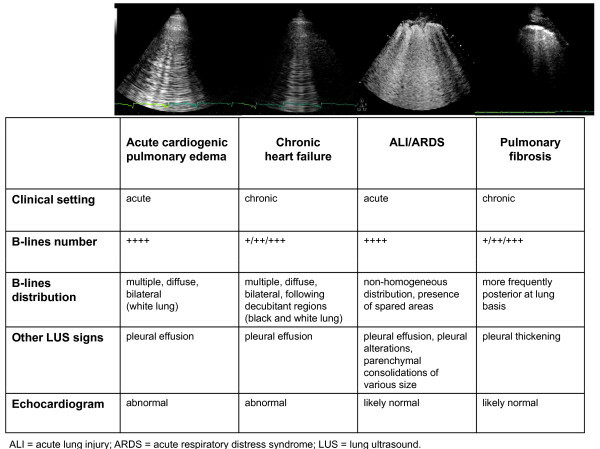 As already mentioned, they are a sign of interstitial syndrome, therefore they are a very sensitive but not specific sign of cardiogenic pulmonary edema. How to distinguish the different etiologies of B-lines has been discussed. However, it must be always reminded that all instrumental data should be evaluated within the clinical context and integrated with patient’s history. No single test alone allows to establish the diagnosis. Use M-mode assessment in the subxiphoid ling axis, and ideally a sniff test. It’s probably better for ventilated patients than spontaneously breathing patients (you can remove much of the breath-to-breath variation that confounds so many of these assessment tools). It’s also probably OK at extremes (flat versus full) and serial measurements are probably a good idea. No-one knows where we should measure the IVC. The IVC collapses non-uniformly. Most studies measure the IVC at or around the confluence with the hepatic veins. An influential study by Wallace et al warned against measuring at the junction with the right atrium, but with no gold standard in their study they had no actual justification for this advice. No-one knows how to measure it. Many experts love M-mode, but this has serious flaws when measuring the IVC. We don’t even know where to place the probe. Most studies use the subxiphoid long axis. Some recommend the subxiphoid short axis. Others (such as ACEP) recommend the midaxillary long axis. But every approach has theoretical and actual flaws. Probably the worst is the midaxillary long axis, but then again… no-one knows. The sniff test is a great party trick but not validated. It seems like a waste of time to me. 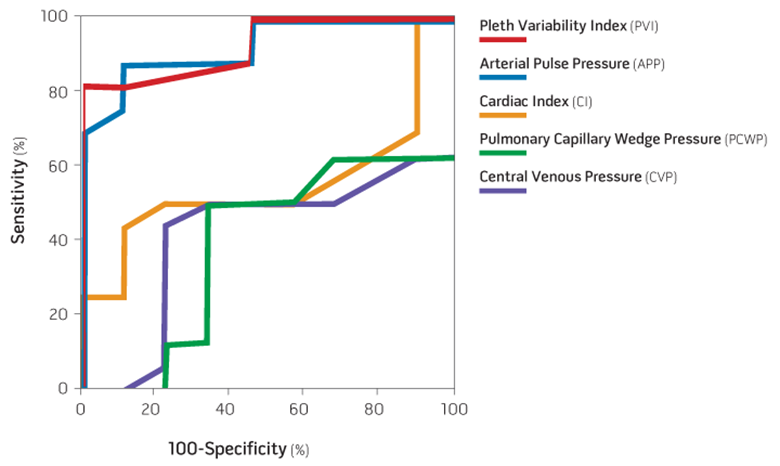 similarities to arterial pulse pressure variation, there are several important differences. producing the familiar wave tracing. variation (VPV), and DPPLET. For the sake of this article, the authors will refer to VPV (VPV(%) 5 100 ([Max amplitude Min amplitude]/[(Max amplitude Min amplitude)/2])). Cannesson and colleagues  reported the strong correlation (r2 5 .82,P<.001) of VPV with PPV in 22 mechanically ventilated patients. It should be noted that the precision of this correlation appears to decrease as variation increases. 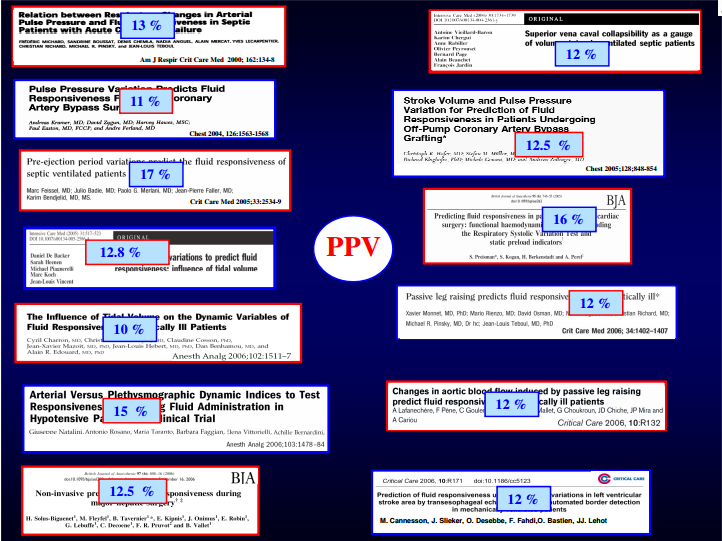 The Cannesson study did not demonstrate volume responsiveness, but only that VPV of greater than or equal to 15% was predictive of having PPV greater than or equal to 13%, the threshold value for volume responsiveness sited in many studies. 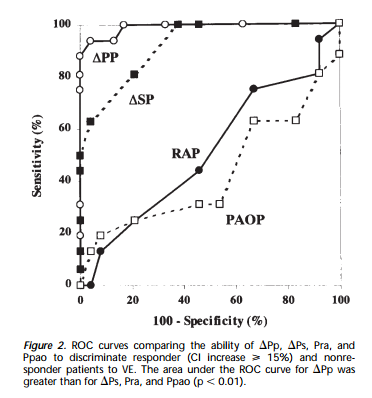 Wyffels and colleagues  reported that in 32 postoperative cardiac surgery patients, PPV and VPV reliably predicted at least a 15% increase in cardiac index in response to administration of 500 mL 6% hydroxyethylstarch with an AUC (95%CI) of 0.937 (0.792 to 0.991) and 0.892 (0.731 to 0.972), respectively. Feissel and colleagues  demonstrated in 23 septic patients that a VPV of 14% allowed discrimination of volume responders and nonresponders with a sensitivity of 84% and specificity of 80%. this time, evidence does not support reliance on this method. 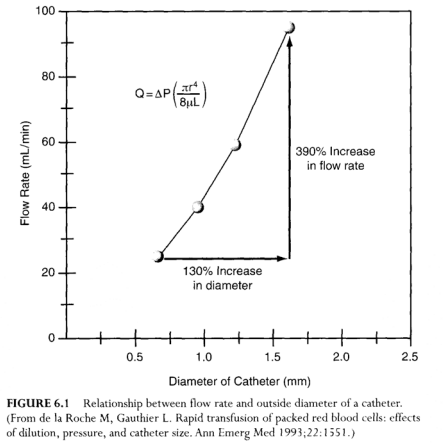 Advanced Hemodynamic Monitoring – Can We Use Fluid to Improve Hemodynamics? 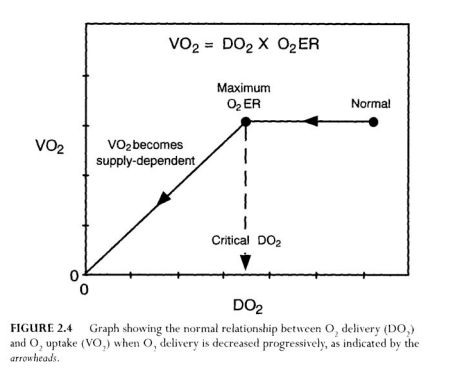 In clinicians’ quest to achieve optimal oxygen delivery (DO2) they are often faced with imprecise, non-specific information in which to guide their therapy. 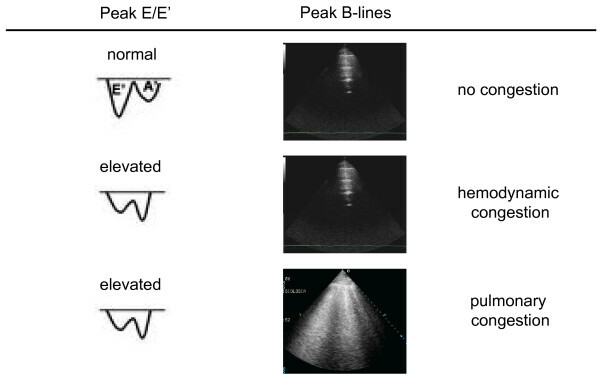 Traditional hemodynamic monitoring parameters (HR, MAP, CVP, and PAOP) are often insensitive and sometimes misleading in the assessment of circulating blood volume. However, the appropriateness of their interventions is often crucial to avoid the deleterious effects of over-, under-, or inappropriate resuscitation. Volume is one of the first therapeutic interventions clinicians turn to when optimizing DO2. Stroke volume variation is a naturally occurring phenomenon in which the arterial pulse pressure falls during inspiration and rises during expiration due to changes in intra-thoracic pressure secondary to negative pressure ventilation (spontaneously breathing). Variations over 10mmHg have been referred to as pulsus paradoxus. The normal range of variation in spontaneously breathing patients has been reported between 5-10mmHg. Reverse pulsus paradoxus is the same phenomenon with controlled mechanical ventilation, however, in reverse. 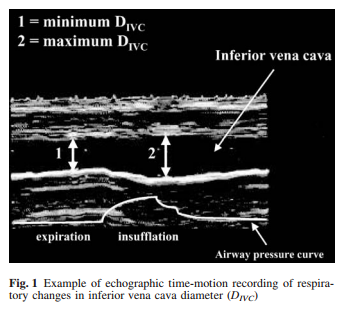 Arterial pressure rises during inspiration and falls during expiration due to changes in intra-thoracic pressure secondary to positive pressure ventilation. In addition to reverse pulsus paradoxus, it has also been referred to as paradoxical pulsus, respiratory paradox, systolic pressure variation and pulse pressure variation. Traditionally SVV is calculated by taking the SVmax – SVmin / SV mean over a respiratory cycle or other period of time. 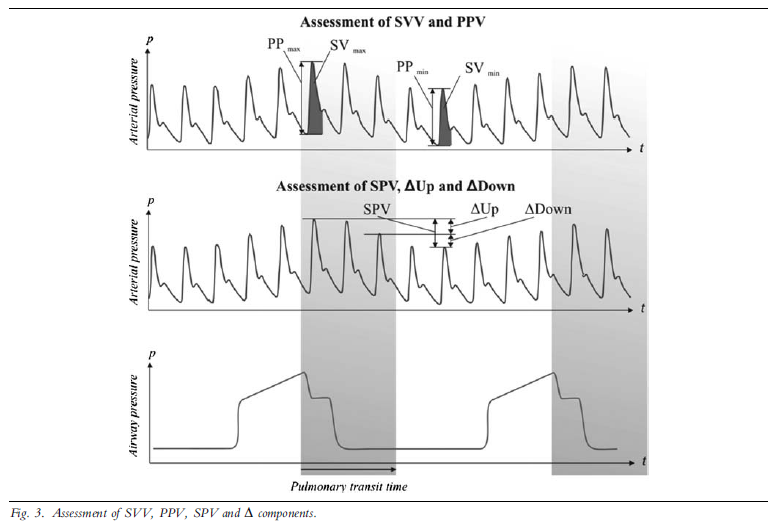 SVV and its comparable measurement, pulse pressure variation (PPV), are not indicators of actual preload but of relative preload responsiveness. SVV has been shown to have a very high sensitivity and specificity when compared to traditional indicators of volume status (HR, MAP, CVP, PAD, PAOP), and their ability to determine fluid responsiveness. 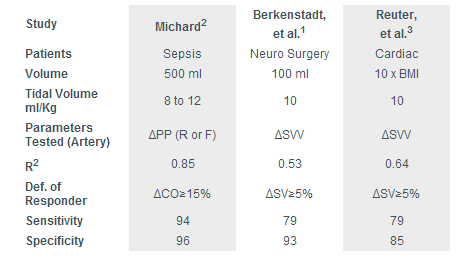 The following table of studies demonstrates SVV sensitivity and specificity in predicting fluid responsiveness against a specified infused volume and defined criteria for a fluid responder. 1. Berkenstadt H, et al. Stroke volume variation as a predictor of fluid responsiveness in patients undergoing brain surgery. Anesth Analg 2001;92:984-989. 2. 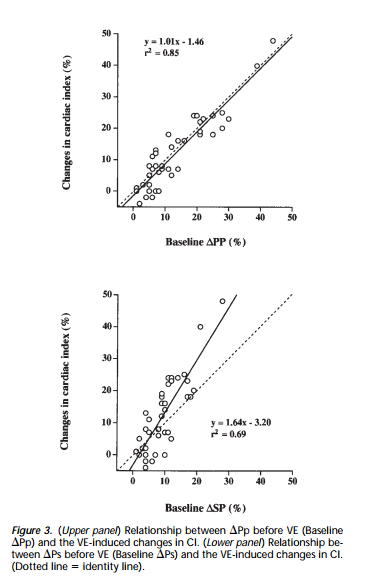 Michard F. Changes in arterial pressure during mechanical ventilation. Anesthesiology 2005; 103:419-428. 3. Reuter DA, et al. 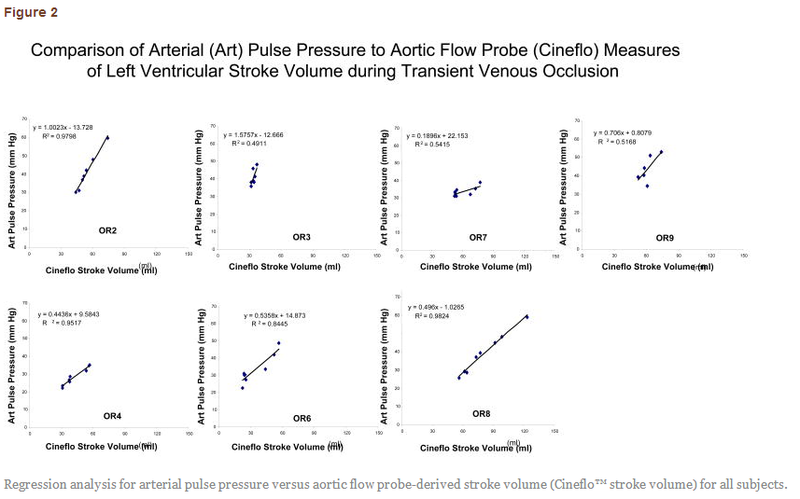 Usefulness of left ventricular stroke volume variation to assess fluid responsiveness in patients with reduced cardiac function. Crit. 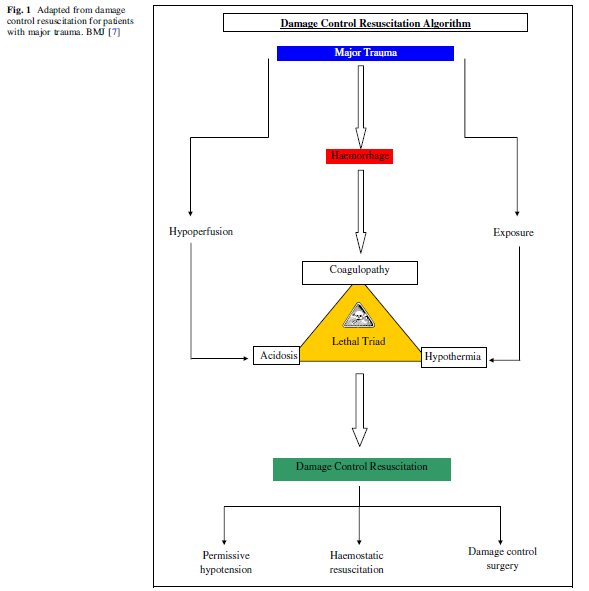 Care Med 2003; 31:1300-404.
process regarding volume expansion in patients with hemodynamic instability . Limitations to the use of PPV do exist (mainly active breathing, cardiac arrhythmia, and low tidal volume) and have been described in detail elsewhere [2,5]. 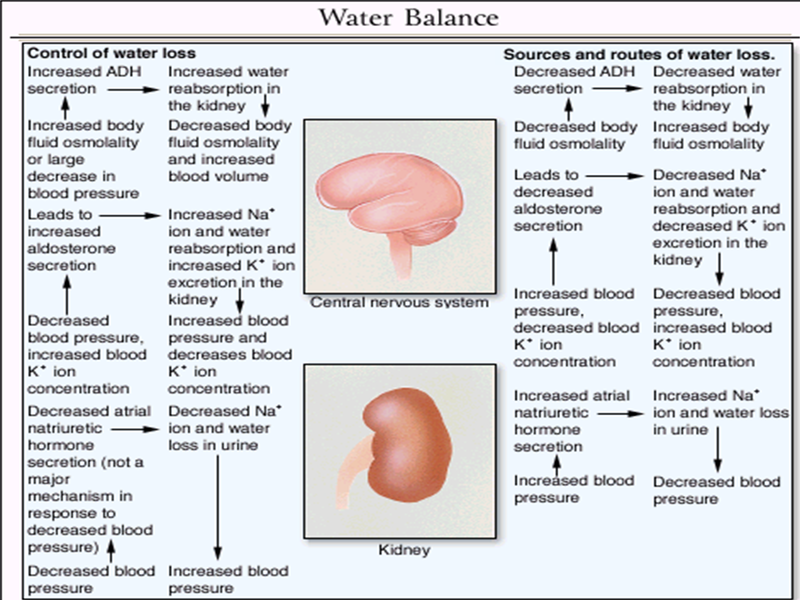 effects of fluid loading . 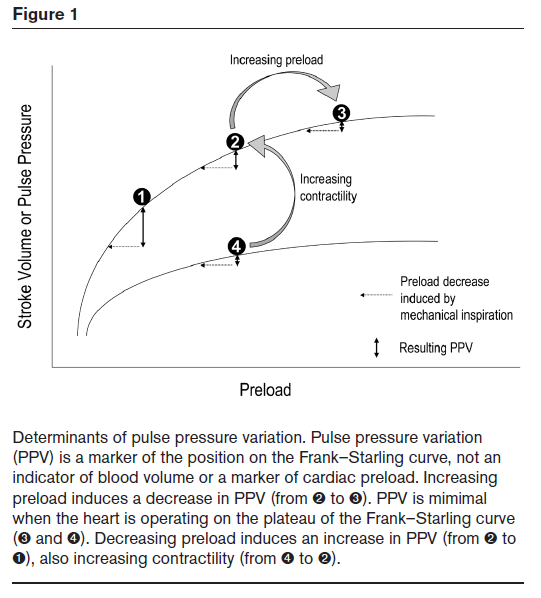 volume reaches a plateau, actually the plateau of the Frank–Starling curve) during high-risk surgery is associated with improved postoperative outcome. 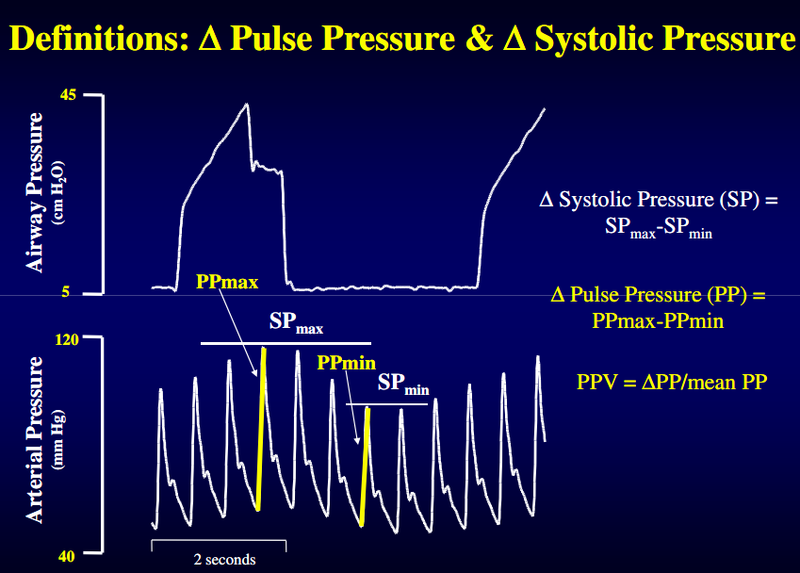 Pulse pressure variation: where are we today? interactions in patients under general anesthesia with mechanical ventilation. This is far superior to static indicators (such as central venous pressure) . 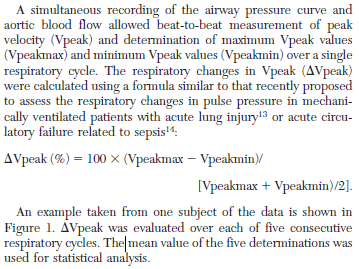 The advantage of these dynamic measurements is that they can be derived from a single arterial pressure waveform [systolic pressure variations (SPV), and pulse pressure variations (PPV)]. Measurement of these indicators can predict an increase in cardiac output induced by volume expansion before volume expansion is actually performed. Moreover, it is now possible to obtain PPV non invasively using respiratory variations in the pulse oximeter plethysmographic waveform amplitude (DPOP) [7, 8,17, 24–28]. tissues, as not to compromise the first and to enable effective wound healing in the latter . 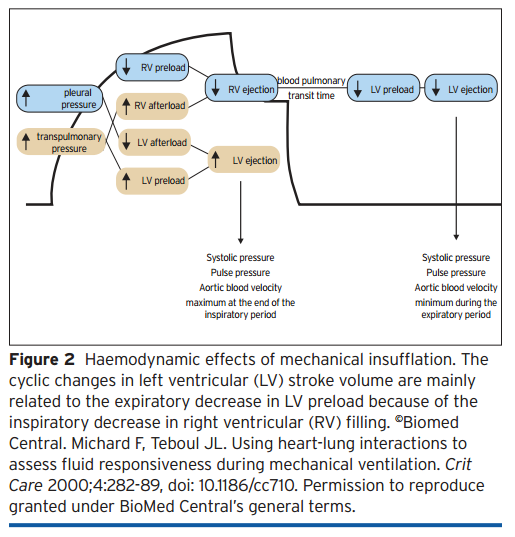 Overall, the change in SPV with each 500-mL volume shift was not as consistent during spontaneous ventilation in comparison to mechanical ventilation (Figure 5). 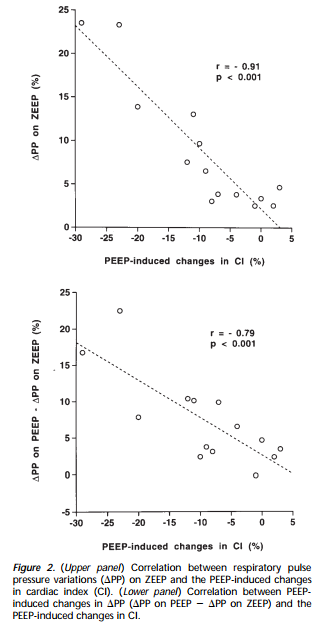 Clinical use of respiratory changes in arterial pulse pressure to monitor the hemodynamic effects of PEEP. Importantly, no monitoring device, no matter how accurate or complete, would be expected to improve patient outcome, unless coupled to a treatment that itself improves outcome . 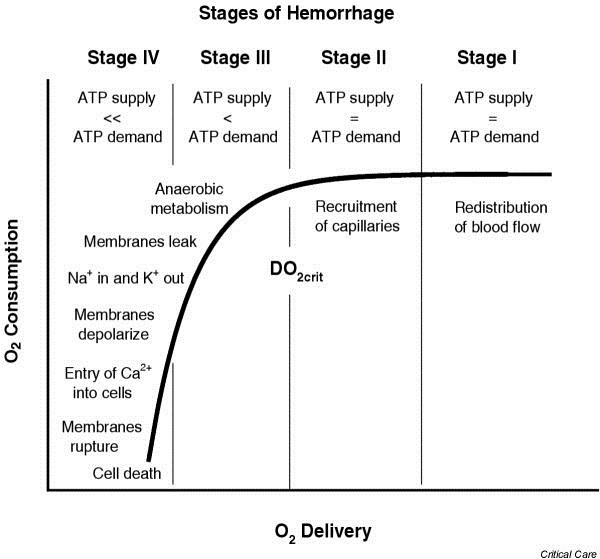 The goal of resuscitation in hemorrhagic shock is to restore three parameters: blood flow, oxygen transport, and tissue oxygenation. The parameters are defined by the end-points shown below. The oxygen that enters the bloodstream in the lungs is carried to the vital organs by the cardiac output. 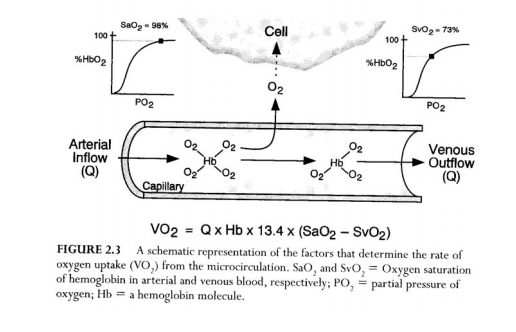 The rate at which this occurs is call the oxygen delivery (DO2) The DO2 describes the volume of oxygen (in milliliters) that reaches the systemic capillaries each minute. It is equivalent to the product of the O2 content in arterial blood (CaO2) in mL/L and the cardiac output (Q) in L/min (2,5-7). The normal DO2 in adults at rest is 900-1,100 mL/min, or 500-600 mL/min/m2 when adjusted for body size. When blood reaches the systemic capillaries, oxygen dissociates from hemoglobin and moves into the tissues. The rate at which this occurs is called the oxygen uptake (VO2). 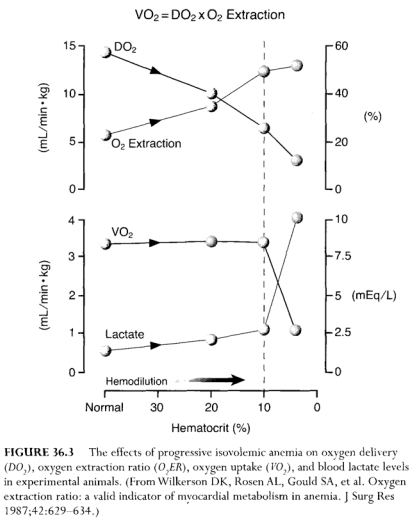 The VO2 describes the volume of oxygen (in mL) that leaves the capillary blood and moves into the tissues each minute. Since oxygen is not stored in tissues, the VO2 is also a measure of the oxygen consumption of the tissues. Unfortunately, it is not always possible to reach these end-points despite aggressive volume replacement, and the ability to reach the desired end points is a principal determinant of survival. This is demonstrated in Figure 12.7. 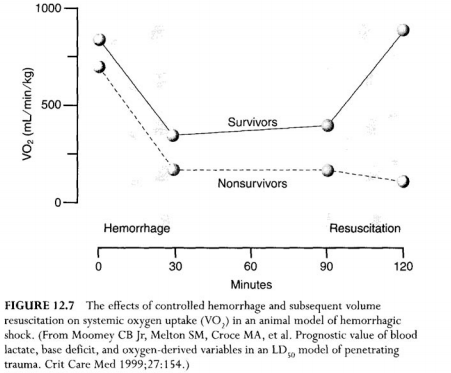 The graph in this figure shows the effects of controlled hemorrhage and resuscitation on oxygen uptake (VO2) in an animal model of hemorrhagic shock. 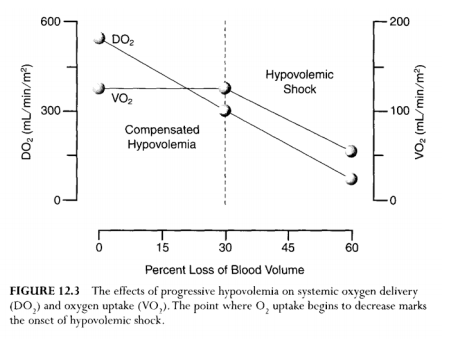 Note that in the survivors, the VO2 increases and returns to the baseline (pre-hemorrhage) level in response to resuscitation. In contrast, the VO2 in the nonsurvivors shows no response to resuscitation and actually deteriorates further. Thus when hemorrhagic shock becomes refractory to volume resuscitation, the prognosis is bleak. 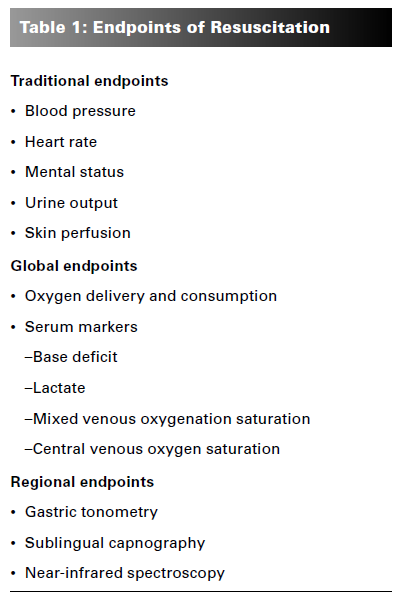 Endpoints of Resuscitation What Should We Be Monitoring? 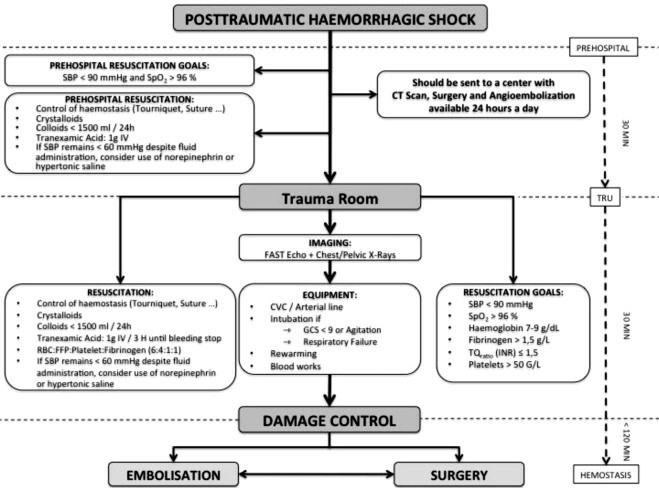 Major resuscitation goals in the management of shock include restoration of adequate tissue perfusion and oxygen balance and normalization of cellular metabolism…Traditional endpoints, such as heart rate, blood pressure, mental status, and urine output are useful in the initial identification of inadequate perfusion, but are limited in their ability to identify ongoing, compensated shock. 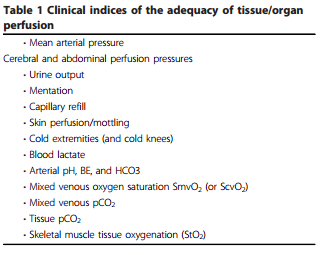 Many clinicians continue to use these parameters as indicators that systemic oxygenation imbalances have resolved, even though they have been found to be poor indicators of ongoing tissue hypoxia. Additional resuscitation endpoints that more closely evaluate the adequacy of perfusion and oxygenation at the tissue level should also be used when managing the critically ill. Selected endpoints should include a variety of global and regional indicators to guide and evaluate the effectiveness of treatment. 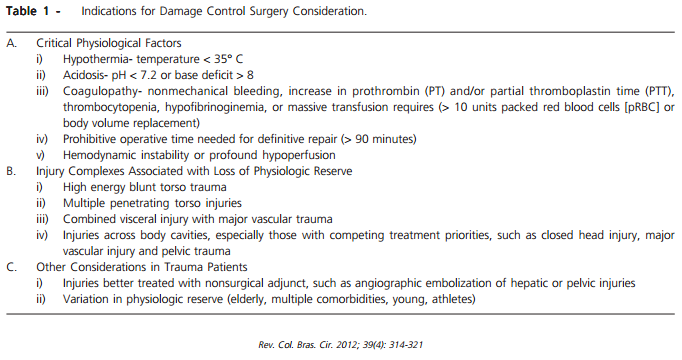 transport as endpoints of resuscitation (Table 1). Evaluation of these additional endpoints will allow for rapid treatment and stabilization of systemic oxygenation during resuscitation. 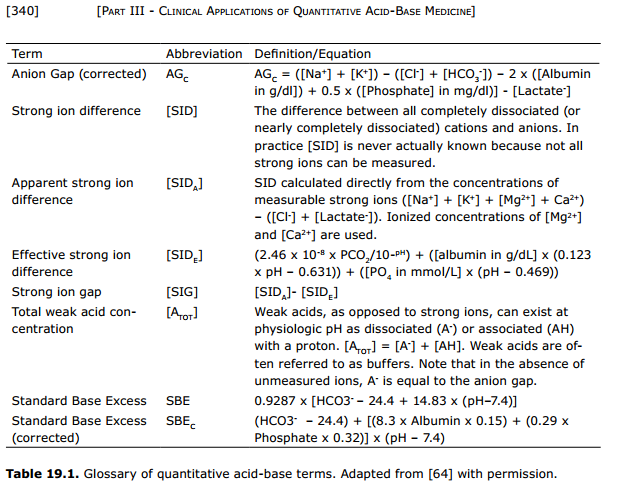 Measurement of acid-base resuscitation endpoints: lactate, base deficit, bicarbonate or what? EMCrit Wee – Is Lactate Clearance a Flawed Paradigm? 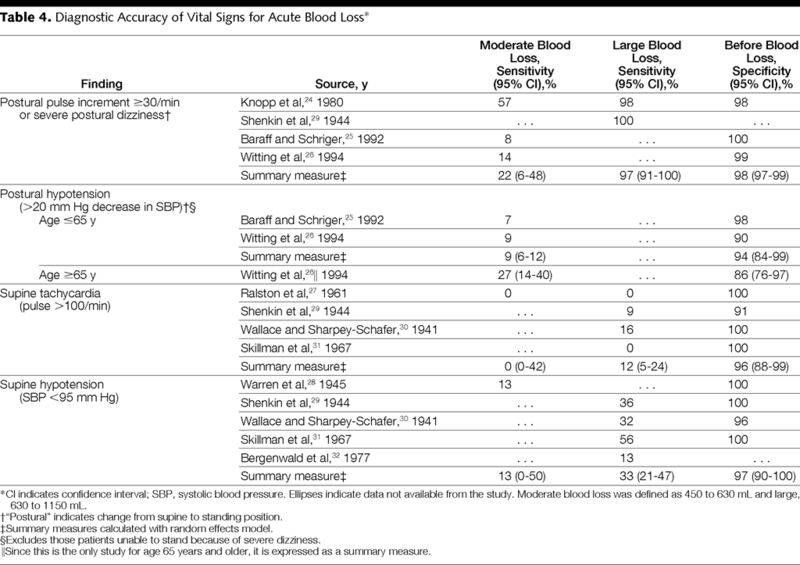 Trick of the Trade: Serial lactate measurements in sepsis? Bellomo R, Ronco C. The pathogenesis of lactic acidosis in sepsis. 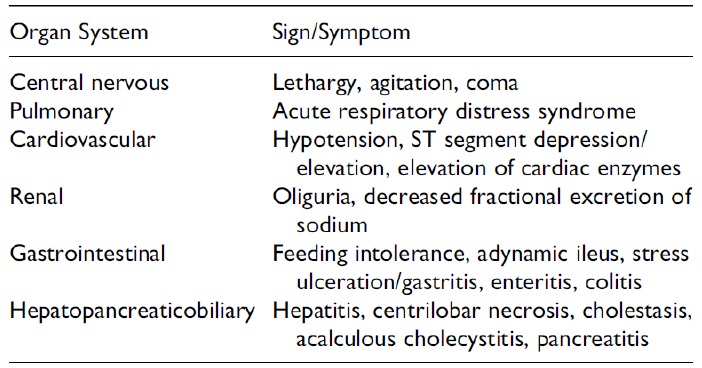 Current Opinion in Critical Care 1999;5:452-7. 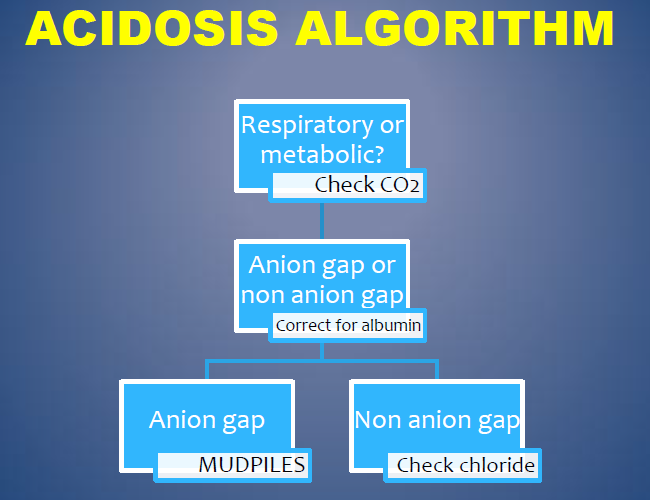 Lactic acidosis is a common finding in critically ill patients during severe sepsis/septic shock, and a powerful predictor of mortality. 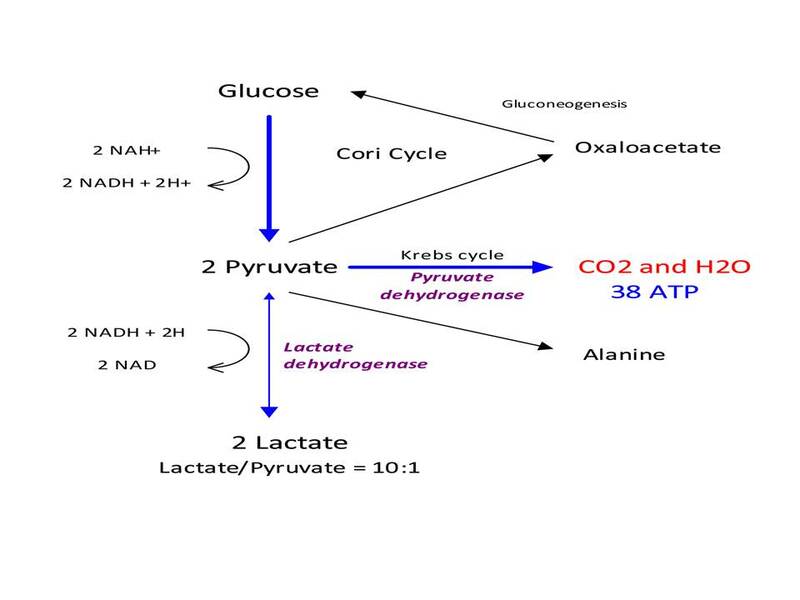 Because of the knowledge that lactate is the end product of anaerobic glycolysis, the presence of hyperlactatemia in sepsis has been taken to indicate the development of anaerobic glycolysis within tissues. 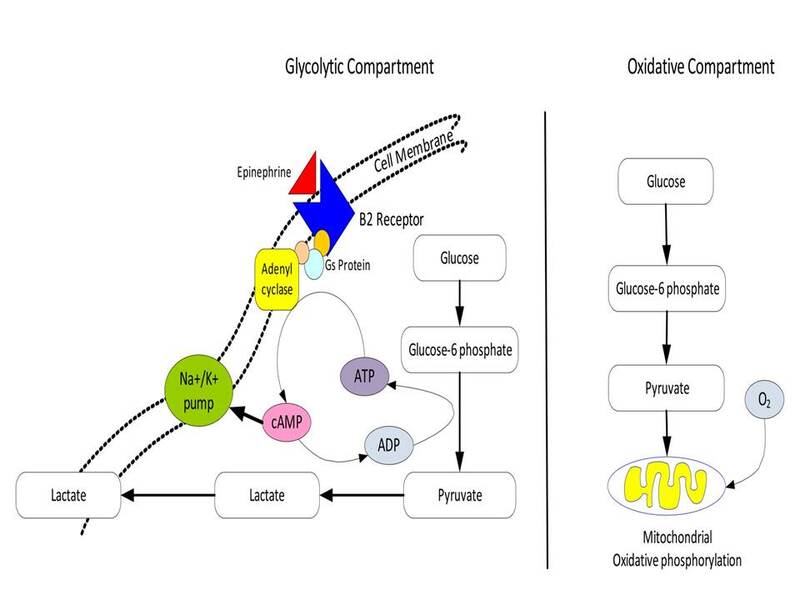 Such anaerobic glycolysis is understood to result from oxygen “debt” at cellular level. The metabolic acidosis frequently associated with hyperlactatemia has thus been ascribed to hydrogen ions released from adenosine triphosphate hydrolysis. This simplistic view of the pathogenesis and meaning of hyperlactatemia, however, is not supported by available data. 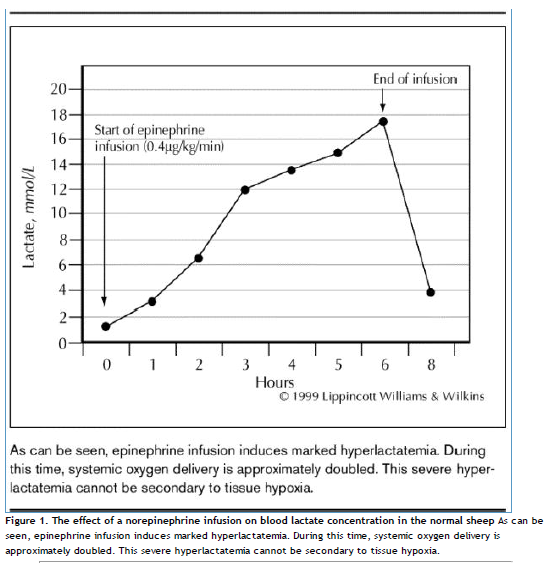 Systemic oxygen transport is usually increased rather than decreased in septic patients. Whenever studied, tissue oxygenation is either preserved or increased in septic animals and humans. In addition, lactate levels may fluctuate in response to inotropic drugs and do not consistently decrease when tissue oxygen delivery is increased. 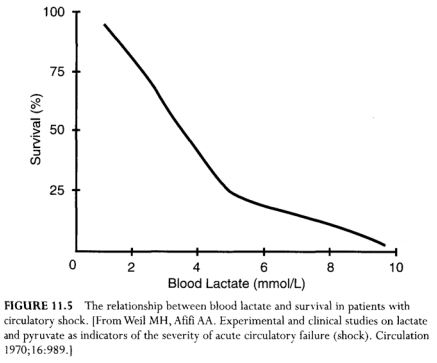 Furthermore, there is strong evidence that large amounts of lactate can be produced and released under aerobic conditions and that the pathogenesis of hyperlactatemia in septic states is complex. Such pathogenesis may involve accelerated glycolytic fluxes, the inhibition of pyruvate dehydrogenase activity, and changes in intermediary metabolism. It may also involve the need to modulate the rate and efficiency of glycolytic flux by controlling the redox state of cytoplasm and mitochondria through lactate accumulation. Marik PE, Bellomo R, Demla V. Lactate clearance as a target of therapy in sepsis: A flawed paradigm. OA Critical Care 2013 Mar 01;1(1):3. Glycolytic pathway. Epinephrine-increased glycolysis is coupled to Na[+]/K[+]-ATPase activity. From James et al..
4.0 mmol/L in several studies.8-11 Furthermore, the “normal value” may vary depending on the assay used. The terms lactate and lactic acid are often used interchangeably, but lactate (the component measured in blood) is strictly a weak base, whereas lactic acid is the corresponding acid. 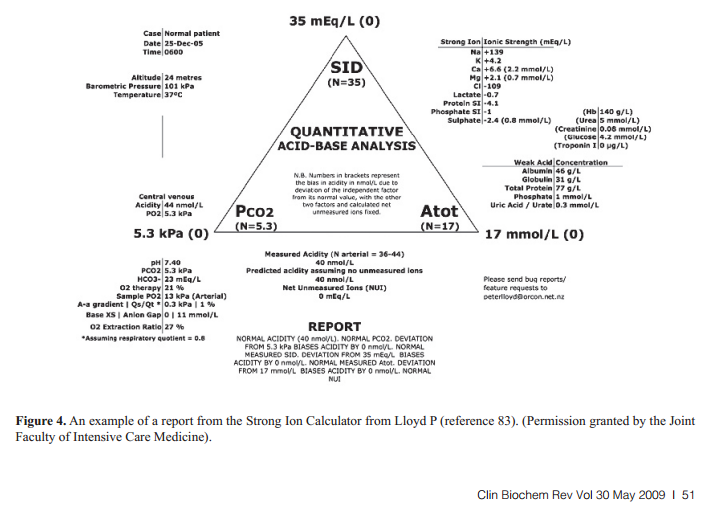 Lactic acidosis is often used clinically to describe elevated lactate levels, but it should be reserved for cases in which there is a corresponding acidosis (pH <7.35).12 The exact pathogenesis of elevated lactate levels in various conditions is likely multifactorial, patient specific, and disease specific. In general, lactate level elevation may be caused by increased production, decreased clearance, or a combination of both. 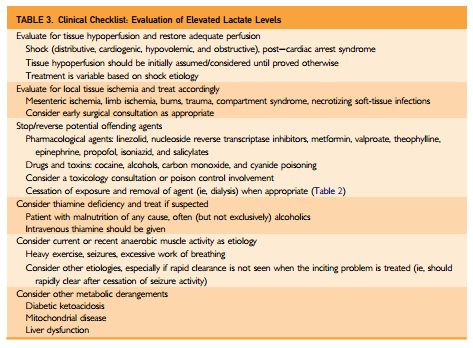 The etiology of elevated lactate levels is perhaps best studied in shock states. Contributing factors seem to include hypoperfusion due to macrocirculatory or microcirculatory dysfunction, mitochondrial dysfunction (including a potential lack of key enzymatic cofactors), and the presence of a hypermetabolic state, among others.13-18 Liver dysfunction may contribute to increased production and decreased clearance, which becomes even more important in states of hypoperfusion. This systematic review demonstrated a very poor relationship between CVP and blood volume as well as the inability of CVP/DeltaCVP to predict the hemodynamic response to a fluid challenge. CVP should not be used to make clinical decisions regarding fluid management. AUC data were available for 33 studies and correlation data for 20 studies. Overall 57% ± 13% of patients were fluid responders, with 52% ± 11% of ICU patients being fluid responders as compared to 63% ± 15% of patients in the operating room. The mean baseline CVP was 8.2 ± 2.3 mm Hg in the fluid responders and 9.5 ± 2.2 mm Hg in the nonresponders. The summary AUC was 0.56 (95% CI, 0.54–0.58), with no heterogenicity between studies (Q statistic p = 0.9, I2 = 0%). The summary AUC was 0.56 (95% CI, 0.52–0.60) for those studies done in the ICU and 0.56 (95% CI, 0.54–0.58) for those done in the operating room. 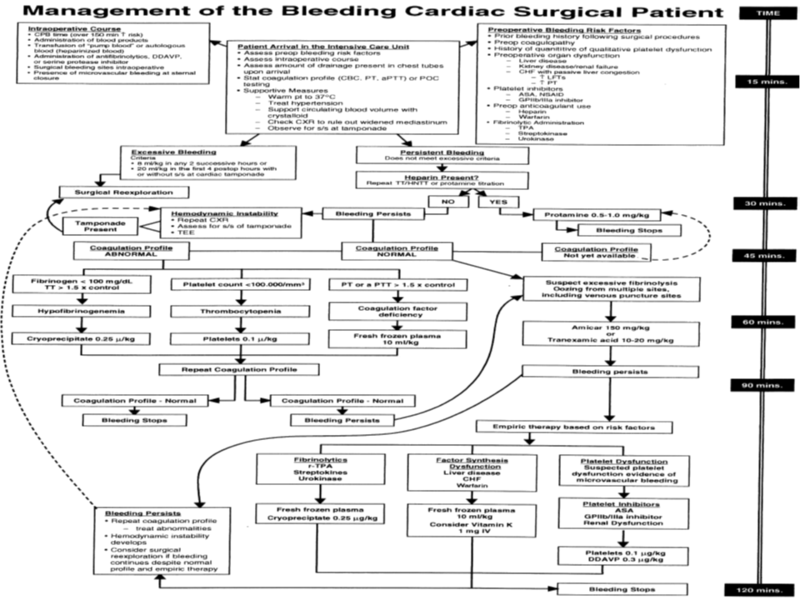 Similarly, the summary AUC was 0.56 (95% CI, 0.51–0.61) for the cardiac surgery patients and 0.56 (95% CI, 0.54–0.58) for the noncardiac surgery patients. The summary correlation coefficient between the baseline CVP and the delta SVI/CI was 0.18 (95% CI, 0.1–0.25), being 0.28 (95% CI, 0.16–0.40) in the ICU patients, and 0.11 (95% CI, 0.02–0.21) in the operating room patients. 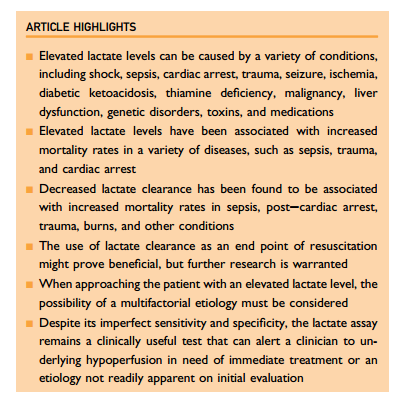 Both lactate and BD levels may be used to identify lactic acidosis and predict mortality at admission. Increased lactate levels predict mortality and a prolonged course regardless of the associated BD level, whereas an increased BD level has no predictive value if the lactate level is normal. 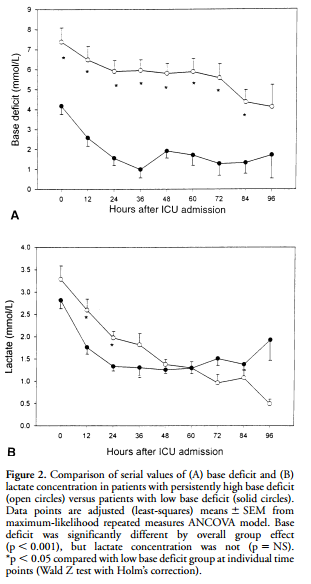 Discordance between lactate and base deficit in the surgical intensive care unit: which one do you trust? Figure 1. 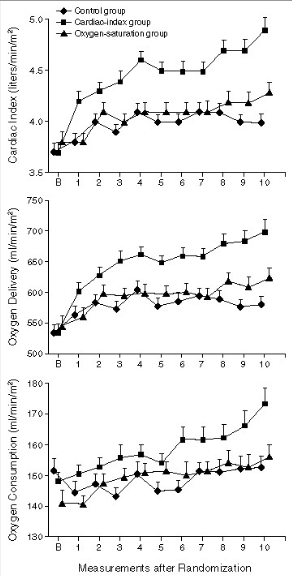 Mean (±SE) Cardiac Index, Oxygen Delivery, and Oxygen Consumption in the Three Study Groups. For each variable, the incremental area under the curve differed significantly among the three groups (P<0.001). B denotes base line. Measurements were made twice a day for five days after randomization. 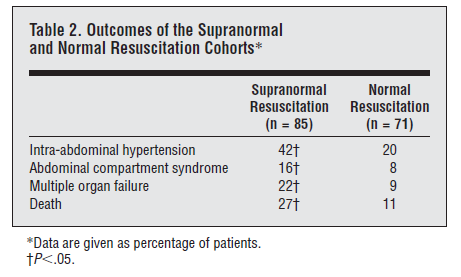 During resuscitation from traumatic hemorrhagic shock, normalization of standard clinical parameters such as blood pressure, heart rate, and urine output are not adequate to guarantee survival without organ system dysfunction. 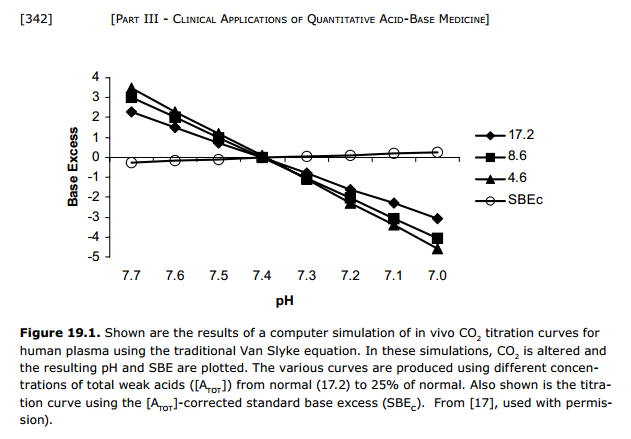 Numerous parameters including hemodynamic profiles, acid-base status, gastric tonometry, and regional measures of tissue O2 and CO2 levels have been studied. Many can be useful for predicting risk of organ failure and death. Studies comparing use of these parameters as endpoints for resuscitation protocols, however, have failed to show clear benefit in terms of patient outcomes. At present, it seems prudent to use one of these endpoints rather than relying on standard clinical parameters. Trauma Vaccine – Vedder, et al. MEDCRAMvideos – Shock Explained Clearly! 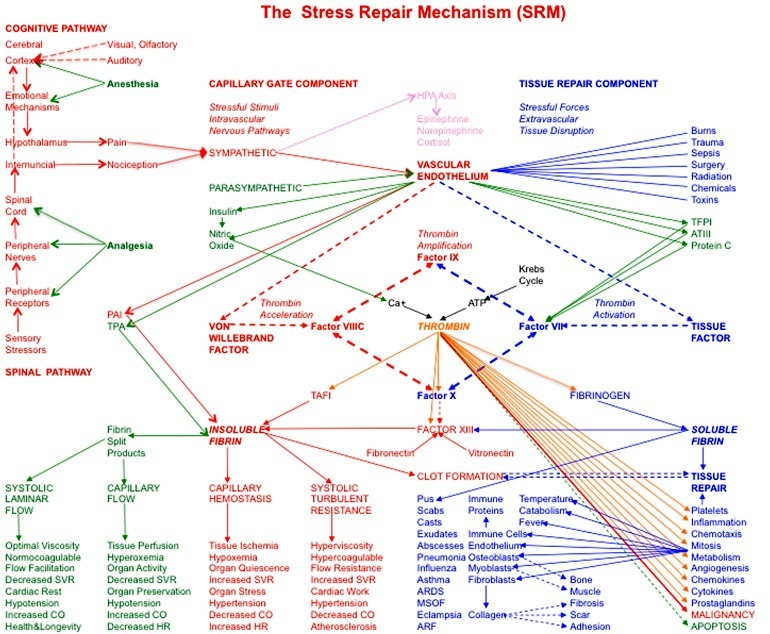 MEDCRAMvideos – Shock Treatment Explained Clearly! Do you know your resuscitation room? Should Normal saline be the norm? Podcast 86 – IVC Ultrasound for Fluid Tolerance in Spontaneously Breathing Patients – EAT IT STONE – Can the Inferior Vena Cava Ultrasound guide our fluid administration in the ED? Of course it can! What Will it Take to Kill off CVP? Shock… Do We Know It When We See It? Fluid Resuscitation in Sepsis and Hemorrhagic Shock: What Do the Data Show? Can changes in arterial pressure be used to detect changes in cardiac index during fluid challenge in patients with septic shock? Colloids and crystalloids: does it matter to the kidney? Crystalloids vs. colloids: KO at the twelfth round? Do colloids in comparison to crystalloids for fluid resuscitation improve mortality? 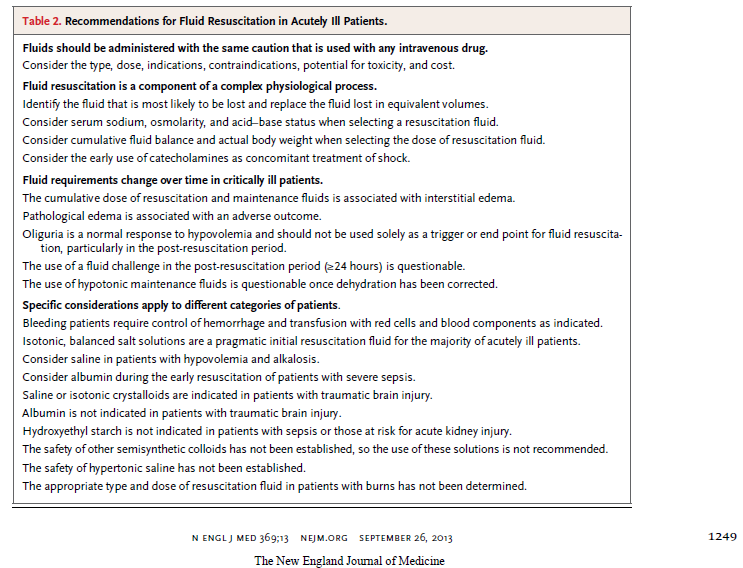 Fluid resuscitation in patients with traumatic brain injury: what is a SAFE approach? Hydroxyethyl starch in severe sepsis: end of starch era? The ideal crystalloid – what is ‘balanced’? Intravenous fluid resuscitation: was Poiseuille right? Is albumin use SAFE in patients with traumatic brain injury? Noninvasive Hemoglobin Monitoring: How Accurate Is Enough? Passive leg raising: good for everyone? Post hoc ergo propter hoc: the story of the Resuscitation Outcomes Consortium. 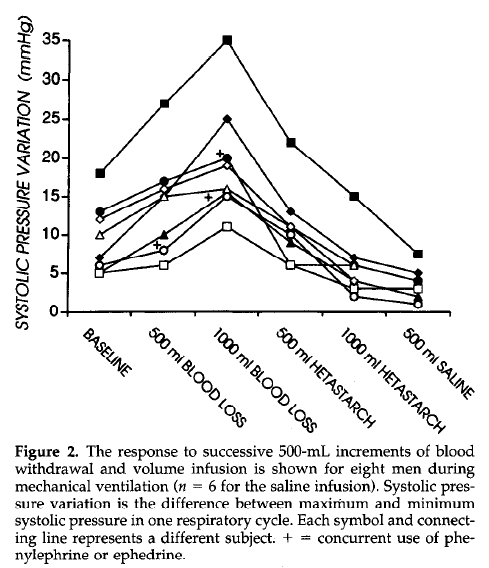 Pulse pressure variation and stroke volume variation: from ﬂying blind to ﬂying right? Role of colloids in traumatic brain injury: Use or not to be used? 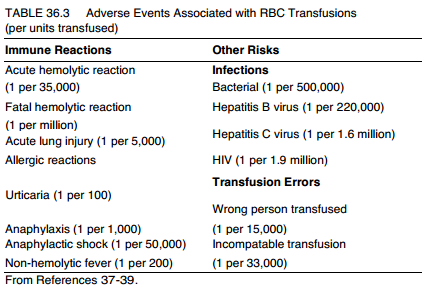 The status of massive transfusion protocols in United States trauma centers: massive transfusion or massive confusion? Use of the Trendelenburg Position as the Resuscitation Position: To T or Not to T? This entry was posted in Education, Medical, Nursing and tagged Clinical, Critical Care, ED, Emergency, Fluids, Hemodynamics, ICU, Lactate, Monitoring, Research, Resuscitation, Sepsis, Shock, Studies, transfusions, Trials, Ultrasound on October 8, 2013 by rjjaramillo. I was born and raised in Texas. I enjoy triathlons, camping and all things outdoors, sci-fi, technology, enjoying good restaurants, and living life with family and friends.